Brunch with Santa at the Heard! Even though this is his busiest (and getting to be the chilliest) time of year, we’ve learned that Santa Claus will take a brief, warmer respite from his holiday routine here in the Southwest to be the Heard Museum’s special guest at brunch — and you’re invited! Kids of all ages (and we’re talking about the grownup ones, too) can sit down to a delicious brunch buffet, complete with gingerbread cookies to decorate and of course, a visit with the Big Guy from the North Pole with pictures you can take home! Tickets are limited and available online at $10 per adult and $5 per child; Heard Museum members pay only $5 per adult and free for children — while supplies last. Any tickets left over from online sales will be made available on the day of the event at $12.50 per adult, $7.50 per child with museum members paying $10 per adult, $5 per child. Please return to this page for further information on ticket availability. For more ticket information call 602.251.0213. Not a member? Purchase or renew a museum membership. If you choose to join on the day of the brunch — the final day of our Members Holiday Shopping Weekend at the Museum Shop — we have a special discount for you: In addition to usual 10% Shop discount members enjoy, as with all museum members, you’ll receive an additional 10% on Dec. 14. 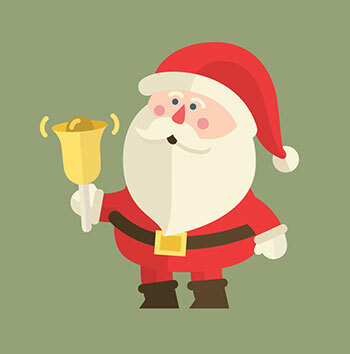 Our Shop will be open special hours on Dec. 14: 10:30 a.m. to 5 p.m.
Old St. Nick visits the Heard Museum for Brunch at the Heard.